Matt Stanley/Delaware River Waterfront Corp. 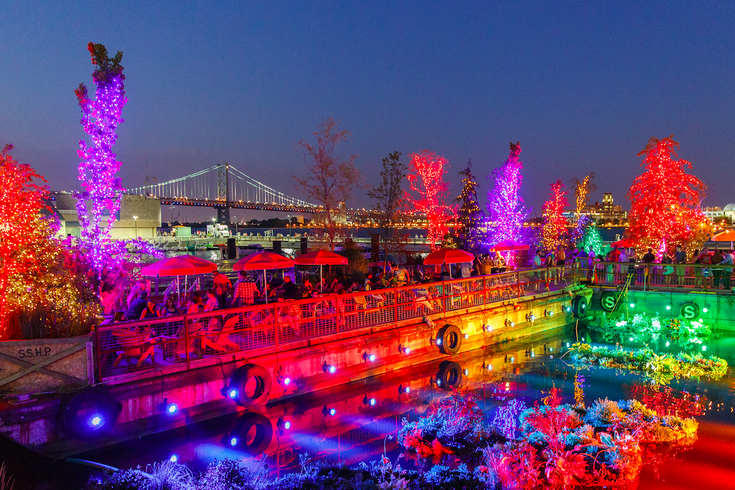 Spruce Street Harbor Park lights up the Delaware River Waterfront. Spruce Street Harbor Park is ready to jump into fall and celebrate all things pumpkin. During Fall Fest, over the weekend of Sept. 16, the park will serve pumpkin-themed foods, pour pumpkin beers and offer free pumpkin carving. The food specials at Fall Fest will be pumpkin pretzels, pumpkin funnel cake, spiced pumpkin ice cream and "The Great Pumpkin Sundae." All pumpkin treats will be available each day over the weekend but only Sept. 17 will feature free pumpkin carving, DIY flower crowns and custom t-shirt printing. As for beer, each day will have a different lineup on tap. Spruce Street Harbor closes for the season after Sept. 25.